(1) Fellow ℃-ute member Nakajima “Nacky” Saki uploaded this 3-shot of her, Maimi, and Suzuki Airi in her update yesterday on the official ℃-ute blog. 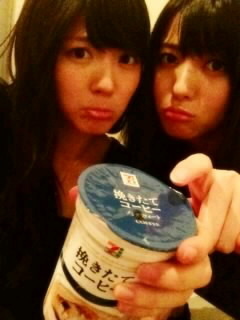 (2) Airi then shared a picture of her and Maimi and a cafe au lait whose straw fell into the cup in her update today on the official ℃-ute blog. 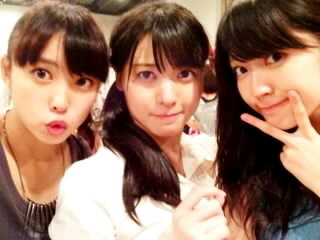 Posted on July 23, 2013, in Articles and tagged Nakajima Saki, Suzuki Airi, Yajima Maimi. Bookmark the permalink. Leave a comment.